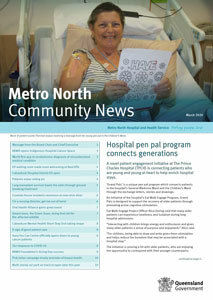 Metro North Community News is our quarterly publication to keep you informed about new services and innovations in health care going on across the HHS. You can also learn more about the team and plans for the future. Keep up to date with community news by subscribing to the newsletter.